Hello! And welcome to the 484th Digital Photography Review newsletter. As the weather gets progressively worse here in Seattle, and we all recover from the cold that's been doing the rounds of our office, we're scrabbling around to get sample images from the latest crop of new cameras and pull content together for our growing catalog of holiday roundups and buying guide content. I've just returned from a trip to Japan, and I'll be writing more about that very soon but for now, let's look at some recent content highlights. We've been shooting with Sony's Alpha 7 and Alpha 7R over the past few weeks to get insight into how the compact full-frame cameras behave. While the two models are twins they're by no means identical, with each sibling very quickly showing its own, distinct personality. We'll be publishing more in the coming weeks as we move towards completing our review, but we wanted to share our perspective now that we've had some experience to inform our opinion. Click the links below to read more. We take a closer look at Samsung's latest Android camera: the Galaxy NX. It's a rather bold experiment that integrates a high-end Android smartphone OS with an interchangeable lens camera. With a 20.3 megapixel CMOS sensor, Samsung NX lens mount, and a tried-and-true mobile operating system, the Galaxy NX offers plenty of intriguing promise. Click the links below to see how we got on. We've updated our first impressions review of the Sony Alpha 7R with our studio test scene showing image quality for both JPEG and Raw files. The new scene also offers downloadable Raw samples of both daylight and low light scenes. 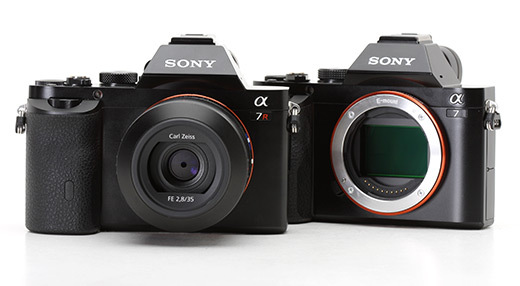 As always, you can compare the A7R to the increasing number of cameras in our test scene. The G2 follows the Optimus G/G Pro as LG's flagship smartphone, with plenty of tech spec to warrant a second look. From its huge 5.2-inch IPS LCD display to its 13MP CMOS sensor with optical image stabilization system, there's a lot here for mobile photography fanatics. We tested out the smartphone's camera capabilities as only Dpreview can: check out our in-depth 10-page review on connect.dpreview.com. Photos of the Rolling Stones are not hard to find, but the majority of images from the height of the band's career consist of on-stage performances and posed publicity shots. That's why a stack of photos uncovered at a Southern California estate sale have attracted a lot of attention recently. Lots and lots of content for the holiday season, including buying guides, product roundups and more. We're aiming to start publishing in the next couple of days, and we should have a great set of articles on the site by the end of this month. Watch this space! At GearShop, we want you to be able to get great deals on products you actually want. 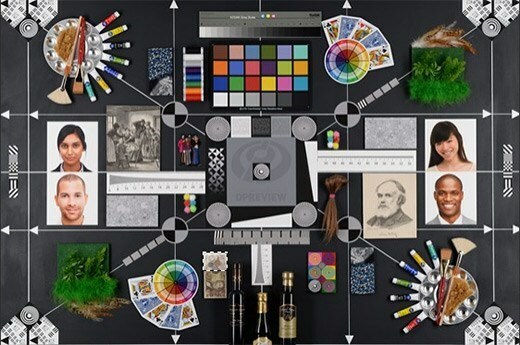 We've all bought those prepackaged bundles that other camera stores and big box stores create for you, making assumptions about what kind of "free" extras you want with your new camera or lens. You spend big money on a new piece of hardware and end up with a bunch of cheap filters, batteries, or cleaning products that just collect dust or end up in the trash. We're challenging that by allowing you to use a percentage of your hardware purchase (5%) to pick out the accessories that you actually want -- a new tripod, camera bag, battery, high quality filter, or a memory card... Or maybe you want to get something to experiment with, like a plastic Holga lens for your DSLR. It's up to you what you want to spend it on. You can buy multiple cameras and/or lenses and watch your savings grow. Learn more. This week's best deals: Save an extra $200 when you buy the already-on-sale Panasonic Lumix GH3 or GX7 with a 20mm F1.7 II, 12-35mm F2.8 OIS, or 35-100mm F2.8 OIS lens. Save $100 on Sony's a58 DSLR kit, plus another $100 discount when you add a select telephoto zoom lens. Check out more featured deals. In stock now: Sony's QX100 smartphone attachable camera, Canon's new 5D Mark III kit with 24-70mm F4 L IS lens, and Nikon's Coolpix P7800. Smartphone versus compact camera: Which is best when it comes to zoom? Nokia says it 'reinvented zoom' with its Lumia 1020 smartphone, but how does it stack up to the zooming prowess of a compact camera? We put Nokia's flagship phone up against Canon's PowerShot S120 in our zoom showdown today on connect.dpreview.com. Click through for more, you may be surprised by the results. We've been shooting with Sony's Alpha 7 and Alpha 7R over the past few weeks to get insight into how the compact full-frame cameras behave. While the two models are twins, they're by no means identical, with each sibling very quickly showing its own, distinct personality. We'll be publishing more in the coming weeks as we move towards completing our review, but we wanted to share our perspective now that we've had some experience to inform our opinion. Sigma has posted a statement on its website regarding incompatibilities between its lenses and the Nikon D5300. Lenses with built-in focus motors may not autofocus correctly in Live View mode, and Optical Stabilisation (OS) may not work correctly. The company says it will provide a free firmware update for affected lenses to fix the issue, but this may not be possible with discontinued models. Click through for full details.